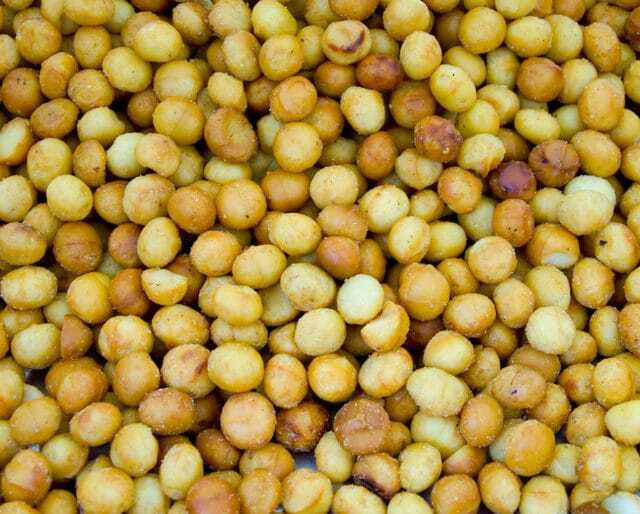 Macadamia nuts are nutritional powerhouses. Regular consumption can potentially have lifelong positive effects — including prevention of cardiovascular disease and cancer. Every February, National Macadamia Nut Month reminds us of their many health benefits, while also showing off their versatility. So this month, get busy with macadamia nuts. That includes cooking, baking, and of course, snacking. The owners of Dole Pineapple Company planted their first orchard. This led to Mauna Loa Macadamia Nut, Inc. — currently the largest macadamia nut producer in the world. Due to issues with growing healthy trees, Ernest Van Tassel wasn't able to successfully process macadamia nuts until this year. Ernest Van Tassel, of the Hawaii Macadamia Nut Company, planted his own orchard as a means to sell them commercially. After finding macadamia seeds during a trip to Australia, William Purvis, a British plant collector and investor, planted the first macadamia tree on Hawaii’s Big Island. Ferdinand von Mueller, a European botanist, named macadamia trees after John Macadam, an Australian scientist and friend of Mueller. Spice up your favorite chocolate chip cookie recipe with a healthy sprinkling of macadamia nuts. Just seven ounces of chopped nuts will cover about six dozen cookies. And it only takes about a half-hour to pull off this taste treat. A warm macadamia nut muffin just sounds perfect in February! Consider donating profits to an organization that supports efforts in the food industry, such as the James Beard Foundation, or Career through Culinary Arts Program, or City Harvest. Bring bags of nuts in for your coworkers to enjoy or let your kids bring in macadamia nut cookies for their classmates and teachers. Although there are seven types of macadamia trees, only two of them are capable of producing edible nuts; the other five produce nuts that contain high levels of the toxin cyanogenic glycosides, making them poisonous. Note: Keep them away from dogs. They can cause abdominal and joint pain, as well as limb paralysis. No splurging. One ounce of raw macadamia nuts contains over 200 calories. Out of all of the nuts, these have the hardest shell to open — requiring pressure of approximately 300 pounds per square inch. While totally delicious in their natural state, they’re also pressed into oil for cooking. Not only that, but did you know their oil is used in some cosmetics? You can also use them to make a dairy-free type of cheese — or ground them up into nut butter form. They contain high levels of monounsaturated fat. That's a good thing because, in moderation, it can help decrease the risks of heart disease and stroke. These nuts also contain palmitoleic acid which can speed up metabolism. And if you aren’t sold yet, eating macadamia nuts will help you meet your vitamin A, iron, protein, and fiber needs — plus, they’re cholesterol free. Macadamia nuts are a versatile food. Whether they’re encrusting meat, incorporated into baked goods or eaten straight out of the bag, their salty, yet buttery taste will leave you satisfied.